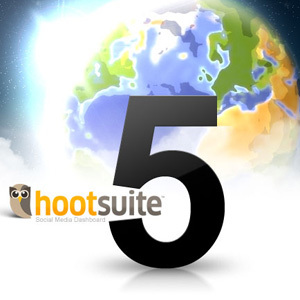 Will HootSuite5 Get You to Convert? It’s no secret I’ve been a HootSuite fan since I gave it a test drive last year. A few months ago, they introduced new team collaboration and social media features. Then, just today they rolled out another full slate of new and very unique features. With the recent announcement of Googleâ€™s HTML5 site and many other brands including Apple on-board, HootSuite has made a substantial investment in this new technology standard. Using HTML5 allows HootSuite to release unique features for a rapidly growing customer base. The release continues HootSuiteâ€™s mission to make social media outreach easy and efficient for a worldwide customer base which includes governments, publishers, enterprises, start-ups and power users. Here is a rundown of the new features, several that were implemented because of user feedback, so you can make sure you are getting the most out of HootSuite5. Geo-Specific Search â€“ Users can retrieve messages posted near their physical location for improved local shopping, communication and research. Analytics in Dashboard â€“ Integration with Google Analytics, including in-dashboard views to track conversions, goals and traffic patterns. Interface Redesign and Themes â€“ A new interface lets users access more information at once, and select design themes. Facebook Media Preview â€“ Users can now add a photo thumbnail, title and description when posting links to Facebook profiles or pages. â€˜Twitter Nativeâ€™ ReTweets â€“ Choose between traditional manual RT-style to quote an update, or the newer “Twitter native” style of automatically rebroadcasting the message. Performance Improvements – HootSuite5 boasts quicker load times for columns and tabs for an even more responsive user experience. File Drag and Drop â€“ Users can attach an image or other file easily by simply dragging the file from the desktop and dropping it into the message box to upload with a pre-shortened link. Language Localization â€“ Lets users view HootSuite in their preferred language, starting with Japanese (more linguistic choices are to come). Keyboard Shortcuts â€“ Clicking Shift+Enter on the keyboard now sends the update, saving mouse-clicks and time. I’m already a HootSuite user, so these features (while great) and just icing on the cake for me. But what about you? Do you use another social media dashboard? Do these new features tempt you to give HootSuite a test drive?